I am big on safety. My previous house has OzShut Roller Shutters on. Really great way of securing your property. I loved OzShut Roller Shutters so much I even kept the big front signage for future use lol. Great people skills and easy to talk to, they find ways to make things easy and convenient for everyone. Installation was fast and done by knowledgeable people. 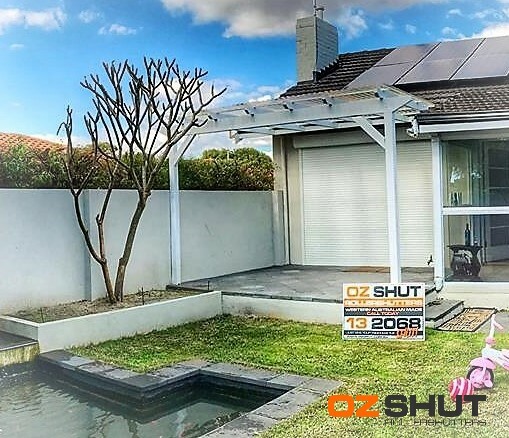 You can be very confident about their craftsmanship and the comfort and security their Roller Shutters provide while you’re gone on long holidays or sleeping at night after a day’s hard work. Years passed and we had to move on to a different suburb due to work and kids school. We moved to a pleasant, friendly and lovely neighbourhood. To an old house that felt secured enough that we thought we may have no need for Roller Shutters this time. Our Big Mistake! A few months only after moving we had a home invasion. Wife and kids inside the house, one of the scariest moments of our lives. Got the old sign out of the shed, grabbed the phone number, we were talking to OzShut Roller Shutters the very next day and here we are living in the comfort and security of our home made safe by OzShut. I am writing this star-spangled fat review to help you make up your mind. True story… get OzShut! We highly recommend it.